The 2019 Honda CR-V is without a doubt a highly popular compact SUV, and for good reason. It’s equipped with a host of impressive features that drivers undoubtedly benefit from. But which trim package works best for your needs? The O’Neill Honda team has put together a comprehensive guide to all Honda CR-V trims so your decision can be an easy one. Continue reading to learn more, and check out the new vehicle inventory at our Honda dealership in Overland Park, KS, for trim package availability. From seating to design, there’s something for everyone on the new 2019 Honda CR-V. Below, you’ll find a table listing all the interior options you can expect on each CR-V trim package. Because your safety is the most important element of driving, you want to ensure your vehicle is equipped with state-of-the-art technology and engineering. All Honda CR-V trims include features like the Tire Pressure Monitoring System, LED Daytime Running Lights, and Vehicle Stability Assist™ with Traction Control for your peace of mind. The Multi-Angle Rearview Camera is on every 2019 Honda CR-V trim, but it comes with guidelines on the LX and dynamic guidelines on the EX, EX-L, and Touring. Whether you need a killer sound system or simply the basics, the Honda CR-V has the modern technology you’re looking for. The following table breaks down the technology features on each of the 2019 Honda CR-V trim levels. Expect the 2.4L DOHC i-VTEC® 4-cylinder engine on the LX and 1.5L VTEC® turbo 4-cylinder engine on the EX, EX-L, and Touring trims. All trims are equipped with the continuously variable transmission (CVT) with sport mode. You also have a choice between front-wheel drive and Real Time AWD with Intelligent Control System™. Test drive your favorite CR-V trim by scheduling an appointment at our Honda dealership in Overland Park, KS, at your earliest convenience. 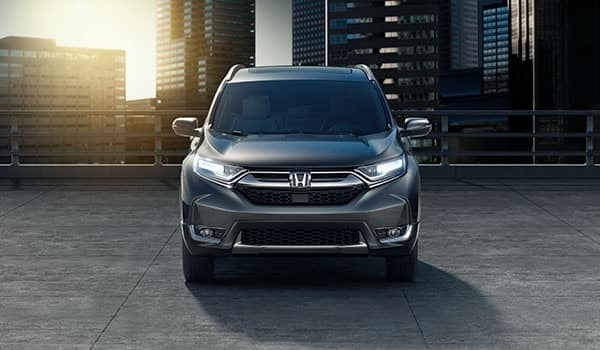 For more information on the new CR-V, contact O’Neill Honda by sending a message or calling 844-242-2336 to speak with a product specialist directly. The Honda CR-V is one of the segment’s most sought-after SUVs, and because of its reliability, advancements, and performance, you’ve decided it should be your next vehicle. 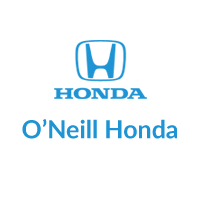 Before you grab the keys, take a look at O’Neill Honda’s in-depth trim package comparison to determine which one has the features your daily drive requires. 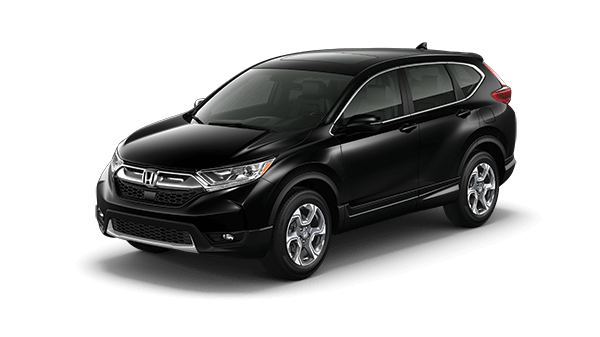 Don’t forget to check out the new vehicle inventory at our Honda dealership in Overland Park, KS for available CR-V trim packages. What are the differences between the CR-V LX and EX? Below you can find key performance, safety, and comfort features that are standard in the 2018 Honda CR-V LX and EX. Whether you need upgraded features or only the basics, we’re certain the EX and LX will check off many boxes on your list. CR-V EX-L vs. Touring: What are the differences? Take the new CR-V for a spin when you schedule a test drive at O’Neill Honda in Overland Park, KS. For more information from our Honda dealership, contact our product specialists by sending a message or calling (833) 718-9760.